Bahamas Aggressor представляет знаменитый флот Aggressor на Багамских островах, где совершает недельные сафари из Нассау или Фрипорта: в летние месяцы яхта предлагает специальные сафари, включающие в свой маршрут Tiger Beach - знаменитое место для встречи с тигровыми акулами. Корпус яхты достигает 30 метров в длину и состоит из алюминия, Bahamas Aggressor может развивать скорость до 12 узлов. На главной палубе яхты Bahamas Aggressor находится кондиционированная кают-компания, объединяющая в себе салон отдыха с мультимедийной системой, библиотекой и компьютером для обработки фото- и видеоматериала и ресторан, в котором подаются завтраки, обеды и ужины. На полузатененной верхней палубе вы сможете провести время между погружениями, релаксируя в джакузи, а когда день погружений заканчивается -почему бы не заказать любимые прохладительные и алкогольные напитки, удобно устроившись за размещенной здесь барной стойкой? Для загорающих же в кормовой части верхней палубы имеется открытая площадка с шезлонгами. Все каюты имеют индивидуальные санузлы с горячим душем и феном для сушки волос, регулируемое кондиционирование и развлекательную TV/DVD систему. Просторная дайв-палуба занимает треть корпуса яхты, обеспечивая каждому дайверу максимум комфорта и свободного места для хранения снаряжения и подготовки к погружениям. Для фотографов предусмотрен специальный стол для обслуживания камер и отдельные емкости для опреснения оборудования после погружений. На корме располагается удобная платформа с двумя трапами, облегчающими вход и выход из воды. Два душа с пресной водой и дополнительный санузел размещены здесь же в непосредственной близости. Bahamas Aggressor также предлагает до 5 погружений в день с учетом соблюдения поверхностного интервала. The Bahamas Aggressor will cruise through the Exuma Cays Land and Sea Park bringing easy access to remote yet premier dive spots. The Exumas consist of an array of more than 350 small islands and cays. The crystal-clear tropical Atlantic pours over the deep cuts between the cays and constantly shifting sand bars. Waters are thick with coral reefs that are alive with every imaginable ocean critter from the living jewels - angelfish and butterfly fish - to the charismatic food-chain toppers like grouper and barracuda - right down to the tiniest living invertebrates. Night diving allows guests to experience an entirely different group of critters and bevy of behaviors not visible during the day. With all dives from the mothership, five dives a day are offered except for the last diving day. All 7-night trips, diving begins Sunday morning and ends Friday before lunch when the Aggressor returns to port (one dive is offered Friday). The crew hosts a sunset cocktail party at 5:30 p.m. followed by dinner ashore. Saturday morning at 8:00 am is check out. The Captain can assist guests with organizing transportation to the Nassau International Airport or a local hotel. Throughout the week there will be opportunities to go ashore for swimming, snorkeling and beach combing. The Tiger Beach itinerary is an exploration of the remote areas around the West End of Grand Bahama Island. 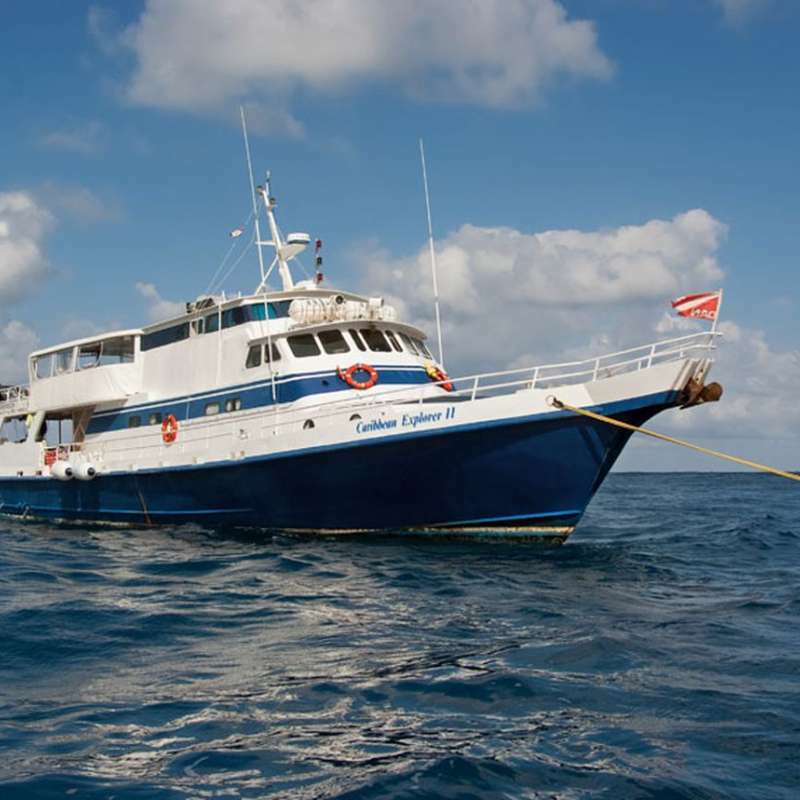 This is a dedicated liveaboard trip with up to 5 dives per day offered. The West End area is rarely visited by guests and is home to many creatures – both large (sharks and dolphins) and small (grouper, snapper, assorted other reef fish). At least one afternoon during the trip will be dedicated to a dive at the area know as "Tiger Beach" where we will try to attract sharks using a "scent triangle" filled with bait. Both Caribbean Reef Sharks and Tiger Sharks are known to frequent the area. Please note: All shark interactions on Aggressor Fleet yachts are natural, passive and observational in style. The Aggressor Fleet does not actively feed sharks nor chum the waters. Night dives are not offered on the site of Tiger Beach. Duration: Trips are either 7 night trips or 10 night trips, please be sure you know which one you are on and the embark/disembark days. Boarding is at 4 pm and the yacht departs for the first anchorage at 6 pm. Everyone must be onboard by that time. Check out is at 8 am. Dinner is not included the last night of the trip, however, there is a restaurant at Old Bahama Bay Resort or guests can venture into Freeport. 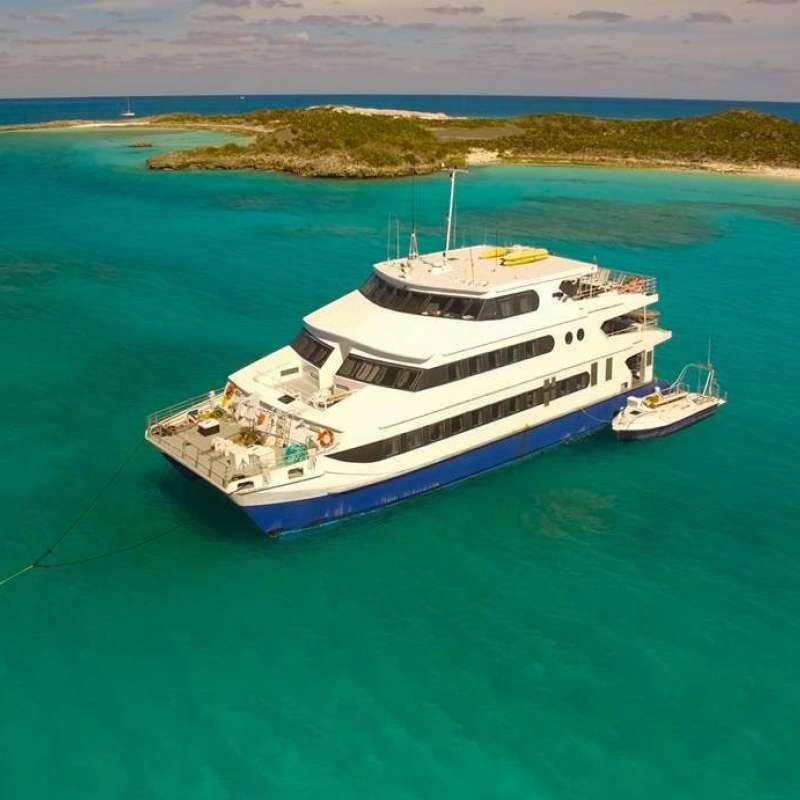 This unique itinerary will depart West End for Bimini and dive around North Bimini to South Bimini moving to South pass Cat Cay, Ocean Cay and to the Orange Cay area. The yacht will do some early morning and late night traveling to cover the area. The itinerary will then travel to the Tiger Beach area for 3 – 4 days. Most days 4 – 5 dives a day will be offered. The itinerary will be dependent on weather and is up to the discretion of the Captain. There are no additional fees over and above the Exuma Land and Sea Park itinerary and Tiger Beach itinerary. All diving onboard the Bahama Aggressor should be within the limits and standards of the training agency that certified you. All dives should be planned no decompression dives. Croisière parfaitement déroulée du 05 au 11 mars 2016. Possibilité de faire 5 plongées/jours dont celle de nuit. Trop à mon goût mais chacun est libre de les faire toutes ou non. Très bon accueil. Équipage de 5 personnes et tous adorables (spécial clin d’œil pour Céleste) et très professionnels. Vraiment aux petits soins, que ce soit pour la mise à l'eau, le retour des plongées ou les repas. Rien à redire vraiment de ce côté là. Le bateau est très bien agencé (même la télé avec des films dans la cabine de 4 entre chaque plongée si on veux ou le soir avant de s'endormir mais entre nous pas besoin). Pas de soucis pour recharger son matériel photo que ce soit en cabine ou au niveau du pont. Une table dédiée pour le matériel photo est présent ainsi que pour le rinçage. Je recommande cette croisière pour le côté intimiste (12-13 passagers maximum). Liberté d'autonomie lors des plongées et faciles à faire même pour un niveau 1. Déçu un peu néanmoins de n'avoir pu voir que des requins récifs (entre autre) mais les plongées valent le coup pour ceux qui n'en n'ont jamais fait entourées de requins autour de vous. Pas de "shark feeding!) heureusement. Je m'attendais à voir d'autres espèces comme des requins tigres ou autres :-). Sinon les plongées sont faciles et les fonds sont bien préservés. Les photographes ne seront pas sur le faim. Possibilités d'avoir un DVD vidéo souvenir à la fin du séjour moyennant quelques dollars sinon vous pouvez repartir gracieusement avec des photos si vous avez le support adéquat. L'équipage a toujours été disponible et discret quand il le fallait. Ayant déjà eu l'occasion de faire plusieurs croisières (Maldives, Mer Rouge, Raja Ampat, Mer de Cortez...), si vous voulez passer un bon moment, n'hésitez pas. Parler anglais est quand même un petit plus :-) car l'équipage est non francophone sur le bateau et les passagers majoritairement étrangers et non francophone également mais est-ce le plus important! Très bonnes bulles!!! This was the second time I have been on Aggressor boat. The first was the few years ago with Palau Aggressor. And this time Dive and Cruise gave us 25% discount from "Dive the world" promotion. My gf and I are budget divers, but with about few hundreds USD higher, the boat was much nicer. The cabin has its own sink, shower and toilet. Our cabin have a double bed with a single bunk above it. The rooms are bit small, but there was adequate storage for everything, so they were comfortable. The dive deck was nicely laid out. There are two showers on the back platform with hot water, and there is a hot tub on the sun deck and it was great for warming up quickly after a dive. The food was good and plentiful. A special nice touch was I am a vegetarian, and the chef had a special dish prepared just for me! 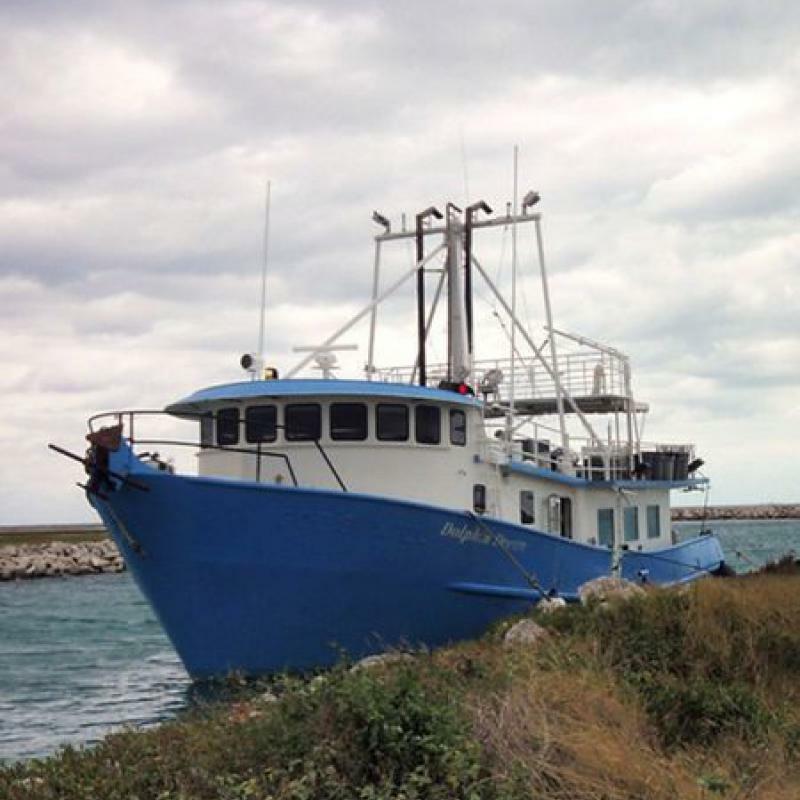 The divnig was typical Bahamas diving with reefs, walls, a few wrecks, coral gardens. The coral is in terrific shape; lots of soft/hard coral on the walls and the guide always tried to let us see some unique sites. We dove lots of time with sharks around, was great! 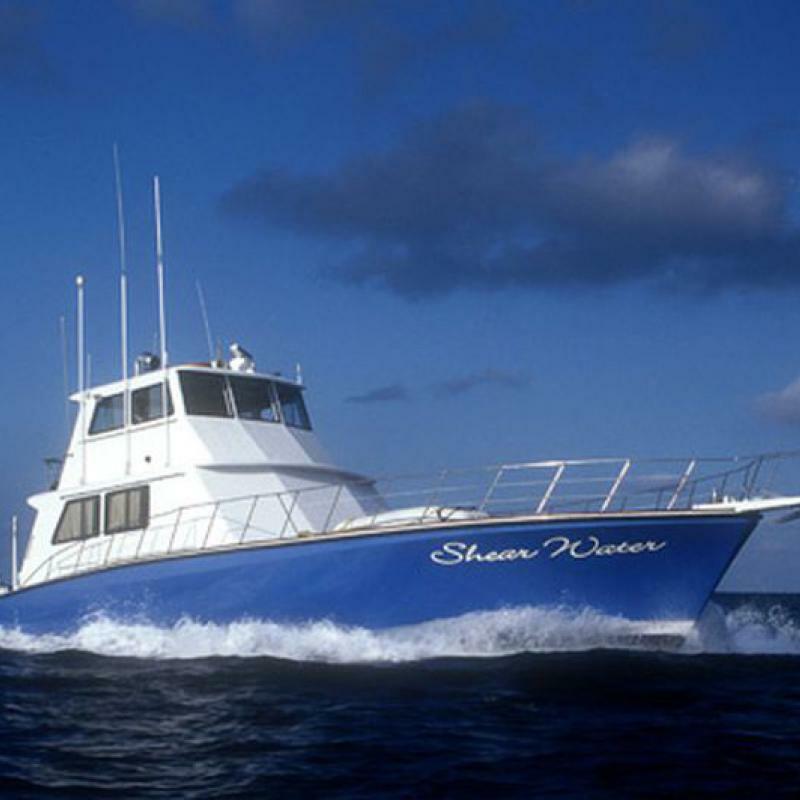 So if you are a diver on a budget, and want incredible value for your dive trip, this boat should be your best choice in Bahamas! Caribbean Explorer II представляет знаменитый флот Explorer Ventures на Карибах, где совершает недельные сафари в северо-восточной части Малых Антильских островов у берегов Сабы, Сент-Китса и Сен-Мартена. Cayman Aggressor IV представляет знаменитый флот Aggressor на Каймановых островах, где совершает сафари длительностью 7 и 10 ночей в течение круглого года. Сафари начинаются и заканчиваются в порту города Джорджтаун. 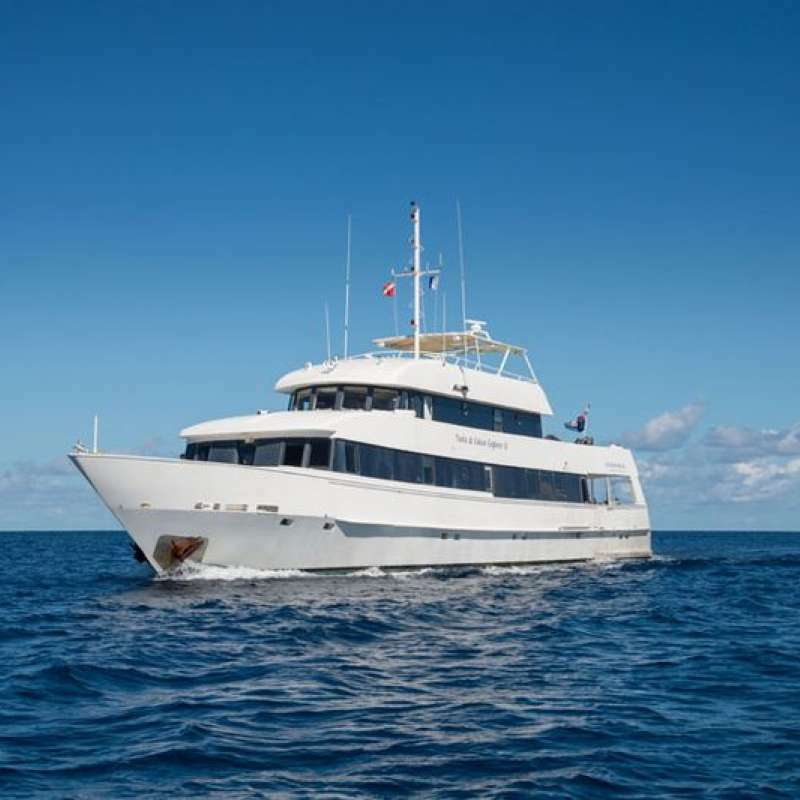 Dolphin Dream is 86 foot professional dive liveaboard that offers charter trips to the famous Tiger Beach in the Bahamas with a maximum of 12 guests on board.